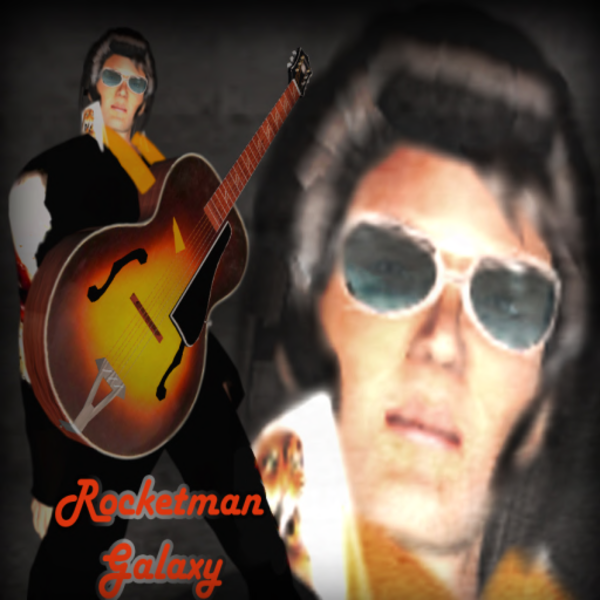 Rocketman Galaxy sings a variety of tunes, from country to ballads, to a great Elvis show too. If you want to join his group you can contact me and catch a show of his, or book him contact me XxJoJoxX Remex Trust me when I say, you will be amazed at his voice and shows he puts on. Great voice and quite the entertainer !! Rocketman is one of the most versatile and talented performers on SL. I am proud to call him a friend and more proud to have him at the Purelife Lodge! Rocketman not only has a wonderful voice, but a way of being on stage that makes you feel part of his magic. A complete artist, a wonderful, touching voice, and a gentleman of the music. Love to go to his shows.. good music and great variety of songs.